The cross-over tablet/e-reader in the form of the Nook Color might be one of the best deals if you’re looking for a “nearly tablet” experience. But Barnes and Nobles just took the Nook to the next level by unveiling an all-new and improved member of the family: ladies and gents, welcome the new 6-inch NOOK with an e-ink Pearl display. Design-wise it comes in a sleek body weighing just 7.5 ounces with a single button up front and a contoured back, but most notably it features the mind-boggling up to 2 months on a single-charge. It will be available at B&N, Best Buy, Walmart and Staples with pre-orders launching immediately and deliveries expected to ship around June 10th. 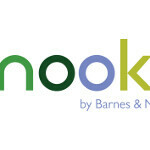 Barnes & Noble sums it up: "Based on industry data, it is our belief that Nook Color is the best-selling overall ereader." Well, obviously they didn’t count the iPad, but the new NOOK is somewhat similar to a tablet. With support for basic apps and games like Angry Birds united under the Nook Apps ecosystem, it’s surely going to tap into tablet space.